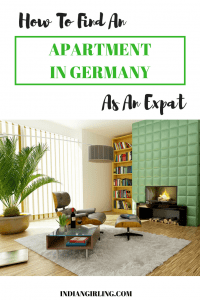 There comes a time when each foreigner who moves here struggles to find an apartment in Germany due to many unforeseen complications which include but are not limited to language barriers, financial regulations, background information etc. I must admit, I was rather lucky to have visited about 5-6 apartments before one finally worked out. On top of that, I could find a furnished apartment for a short term. This post will help you how to search, apply for and get a house or apartment in Germany! Where should I look for apartments? What does looking for housing look like? How long should I expect to be flat-hunting before the move-in date? What is the legally binding period where I should have a contract for? Are you allowed to sub-lease the apartment? What are the usual financial obligations and/or terms and conditions? Are there any legal differences between Germany and my home country? Another extremely popular website, which has a majority of broker or real estate agent listed flats is : Immobilien Scout . According to German law, tenants are not required to pay a brokerage so if you’re short on time and prefer to have a broker assist you through standardized properties across a city, this approach is much more productive instead of individually setting up appointments. 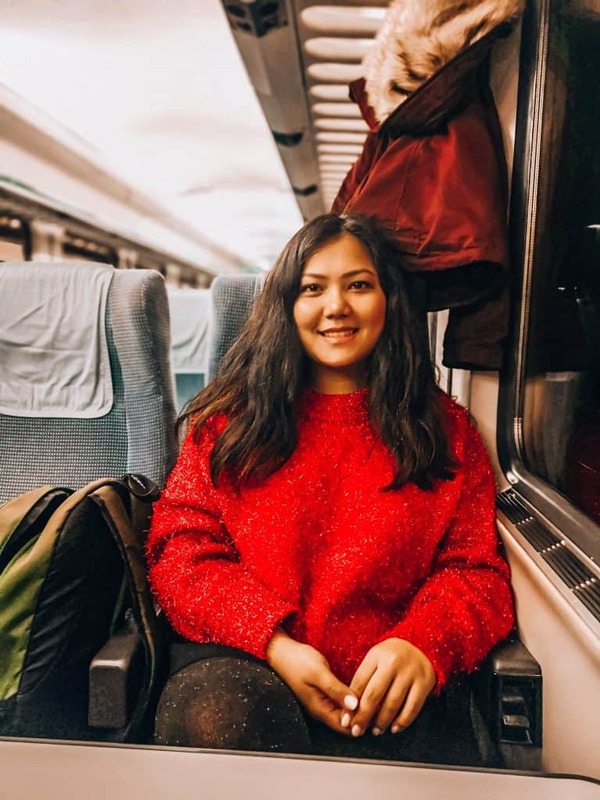 If you are arriving for the first time, you should book an Airbnb for the first month so that you have enough time to search, interview for and find a place. Things in Germany move SLOW. An excellent short-term furnished rental platform that has come up in Germany is called HC24 and I would recommend you to check that out! Read Next: Moving to Germany? 8 Things You Need To Know! Note- Keep in mind that a kitchen in Germany is usually not provided for free by the landlord. You might have to either buy the kitchen from the previous tenant or purchase a brand new one which could set you back anywhere from 500 – 2000 euros. Step 6.2: If negative, wait for other responses. If all negative, start from Step 1 again! Ideally, a two month head-start should work out fine. If you live in Berlin, Munich or Hamburg where there’s way more demand than supply, a 3 month hunting period is advisable. The notice period for tenants is usually three months, and hence potential flats begin to be listed 3 months before their next available date. There can be a fixed period contract or an open-ended unlimited contract, with the latter being more common in the country. Germans like to rent long-term, unless they are just going away for a short period and need a zwischen Mieter (in-between tenant), and hence the contracts are more likely to be open-ended, with a mandatory notice period clause. Again, depending on the contract and the owner this could vary. In most cases, the landlords usually allow you to search for other tenants if you take up an apartment with more rooms than you need, or if you’d like to convert it into a shared flat (WG). The law on sub-leasing for commercial purposes such as Airbnb, or Booking is fuzzy and differs from state to state. For example, in Berlin, you cannot sub-lease your property commercially unless at least one person resides in the apartment at the time of sub-lease. In Munich, you easily could. It’s usually a good idea to negotiate this upfront, if you feel like you will at some point require new or alternate tenants to reside in the flat. You could either get permission to sub-lease or get the landlord on-board so the process is much easier once this actually happens. The usual scenario almost always includes, 3 months deposit and rent at the beginning of the month. This could differ in case of short-term rentals or on the particular land-lord. It’s possible to negotiate on the deposit but usually not possible to negotiate on the rent, since German law does not allow rents to be skyrocketed or fixed as per the whims and fancies of the landlord. It is based on a strict calculation of the size of the flat and the area you are situated in. Any other factors shooting up the price, would have to do with furnishings. The one shocking difference that I had to discover in an unpleasant way is that, “Oral contracts are binding” in Germany. Of course, this differs on the context, but to be on the safe side unless you are 100% sure you want to take up the flat, do NOT commit this to the landlord verbally or via email or messages, since in some cases this can be binding. If you have a particularly nasty landlord, they might threaten you to take up the flat even if for xyz reasons you actually can’t. You can have a look at the document below to get a broad idea on tenant rights in Germany.